This glaze came about as an inspiration from the ether. I was making a smoked pork shank ham for Christmas dinner and I wanted a glaze for it but something different than your normal glaze. 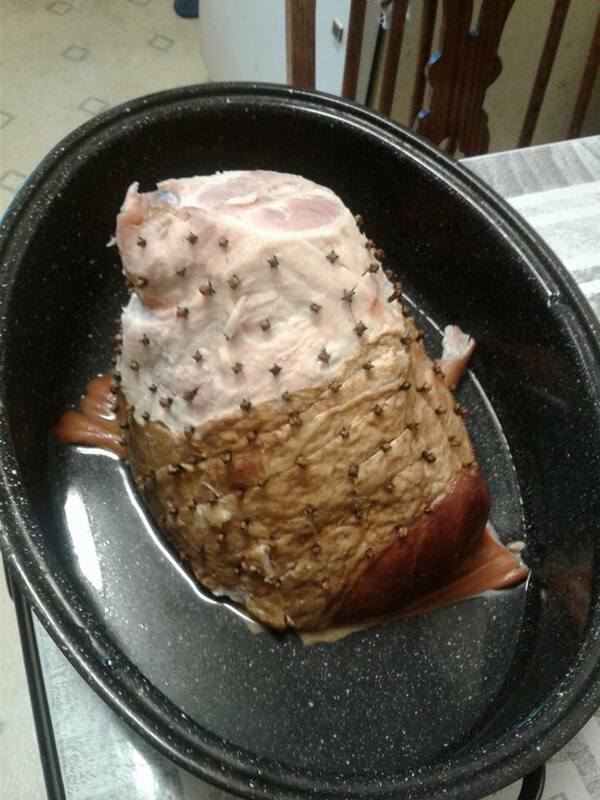 I took the time and effort to score the fat after trimming and stud the ham with cloves old school style so I wanted a glaze that would really get into all the cuts and cracks and soak into the meat. This meant something a bit runnier than your normal ham glaze that's a thick paste and turns your ham into a sugar crusted candy. Ultimately I sat down with a piece of paper and started outlining ingredients until I came up with something I thought would work, and work it did. It was the right consistency to get into all the cuts in the ham and had just enough sugar to sweeten and make a crust without being too cloying. 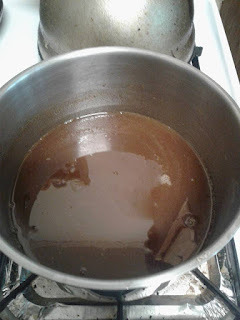 In a saucepan combine the apple cider, allspice and cloves. Bring to a boil and reduce to 1/2C removing the spices after. Combine the remaining ingredients with the reduced apple cider and bring to boil. Reduce heat and simmer until it gets to the consistency of pancake syrup and coats a spoon. In the final half hour of baking your ham spoon some glaze over, covering completely. Return to oven and and repeat every 10 mins until your ham is glazed to your satisfaction.